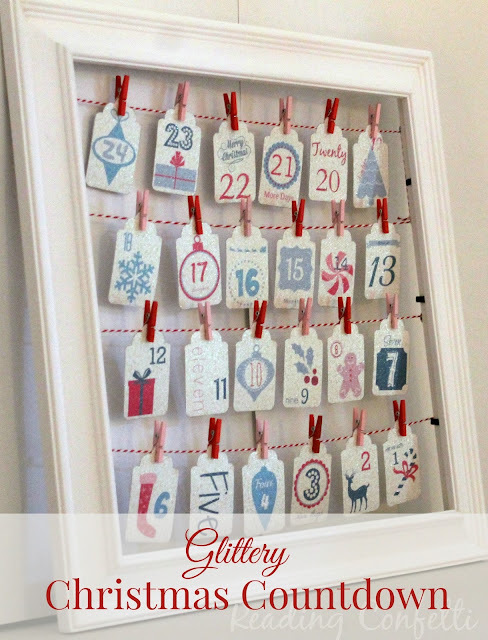 Make this Christmas countdown especially festive with easy to use inkjet printable glitter paper. 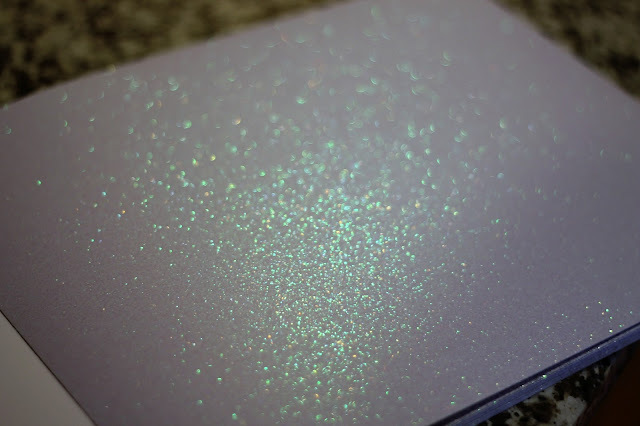 Core'dinations recently sent me a box of goodies that included some products from their new line of Glitter Prints. 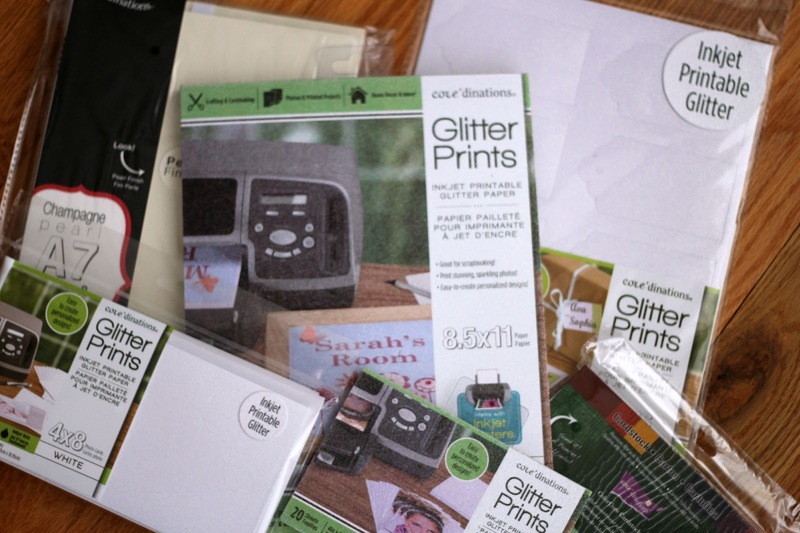 This new line includes inkjet printable glitter paper, labels, cards, and frames. The unique paper is designed for printing with optimal color vibrancy and is a great way to add sparkle without the mess of other kinds of glitter. 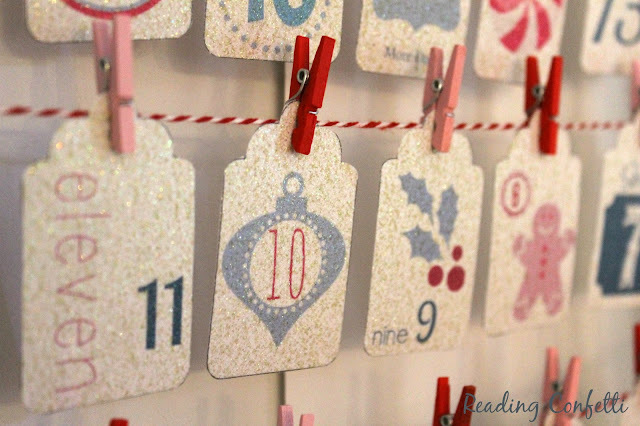 Since I love Christmas countdowns I knew what I wanted to use it for right away. 1. 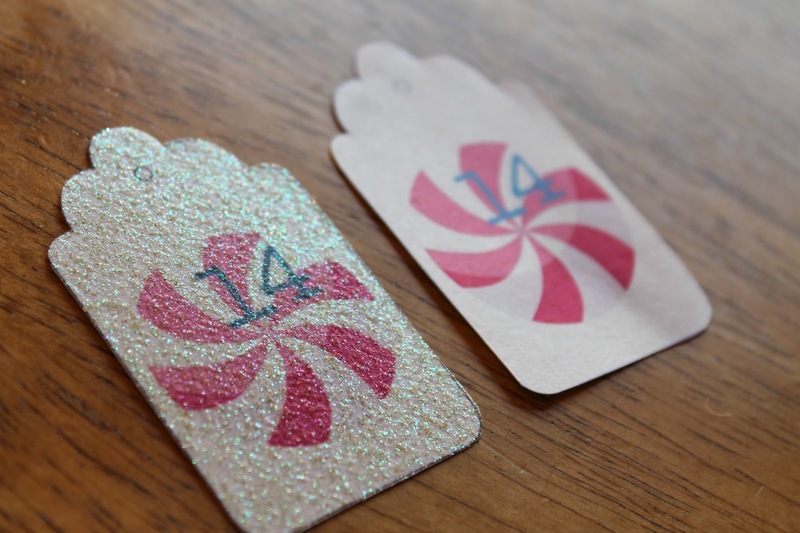 Design your own gift tags using a blank template and your favorite photo editing software or use the tags I designed. 2. 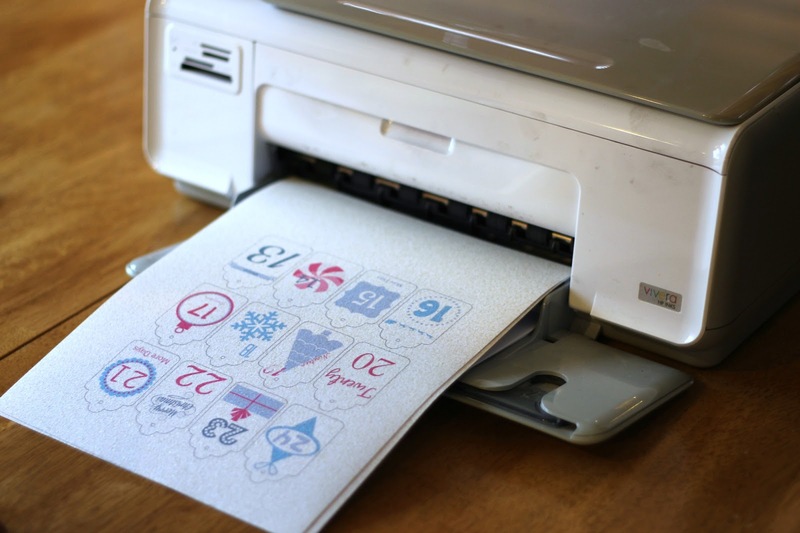 Print the tags on Glitter Prints paper using any inkjet printer. 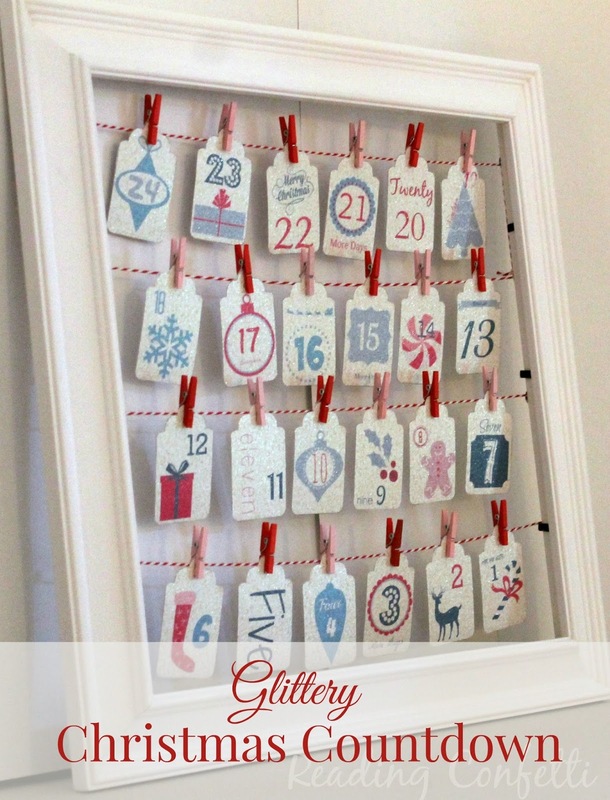 Don't worry - this smooth glitter paper won't flake or make a mess. 3. Cut out the tags. You may want to write an activity, a book, a random act of kindness, or a Bible verse on the back of each tag to do each day. 4. Remove the backing and glass from the frame. 5. Measure and place tacks into the back of the frame at evenly spaced intervals. 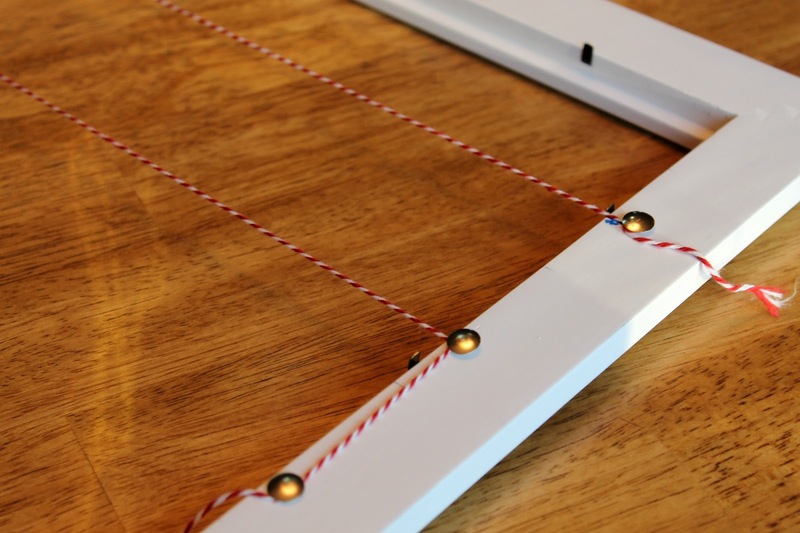 Wrap twine or string around the tacks and tie in place. 6. 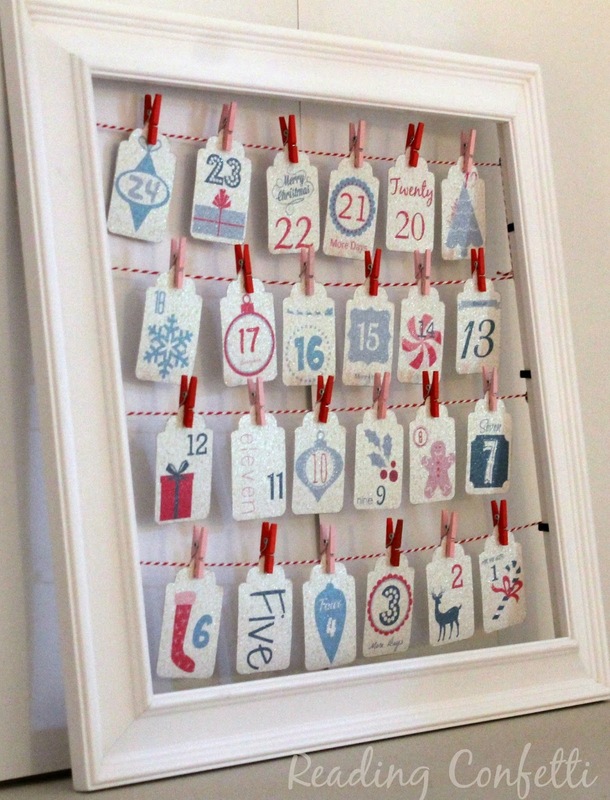 Use small clothespins or paper clips to hang the tags from the twine. 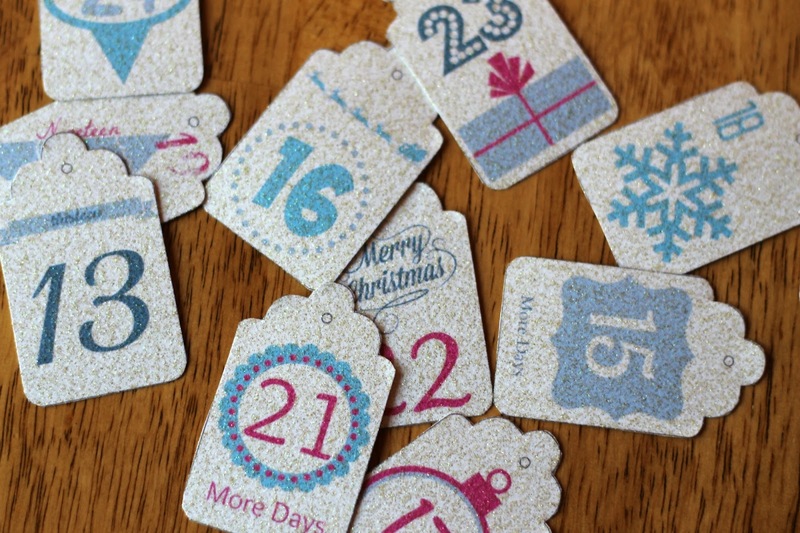 I love how the glitter paper gives a sparkle to the tags and makes even a simple design look more festive. 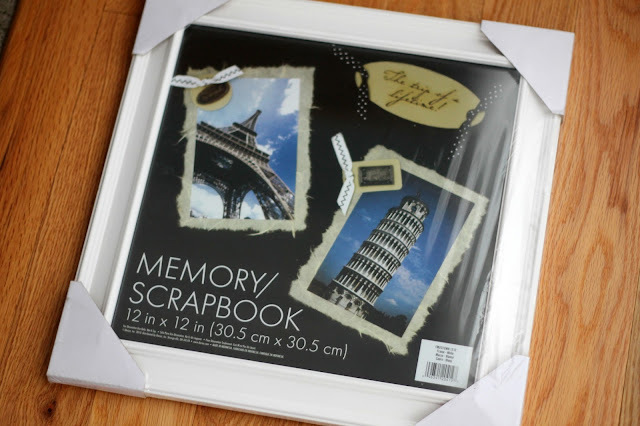 It's such an easy way to make and personalize crafts and gifts. You can now find Core'dinations Glitter Prints at Hobby Lobby and Michaels. It will also be available in early 2016 at Jo-Ann Fabric and Crafts and A.C. Moore. Connect with Core'dinations on Facebook, Twitter, and Pinterest. These are so cute! I love that glitter paper.